These patent-pending, sliding weight decoy anchors are the best new product in the duck hunting industry, featuring easy and fast setup and even faster pickup! Decoys carry easily with the provided spring clip, no bags required. No need to wind the line around the decoy. 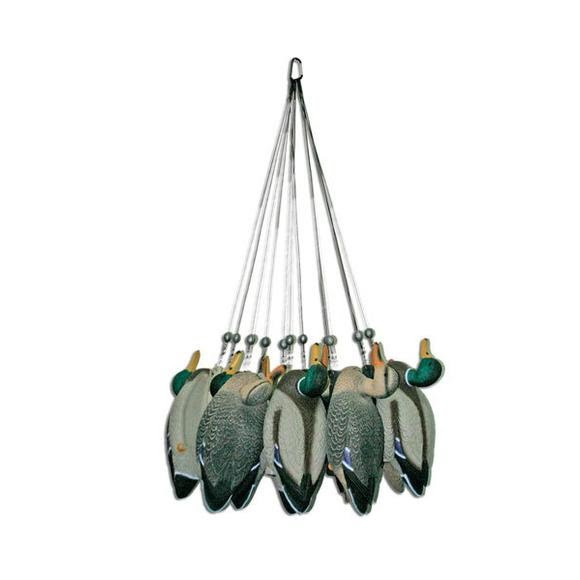 Sliding weight makes tossing out decoys quick and accurate. 30” length with four ounce weights. Sold 12 to a package.